This started out to simply be a quick pendant... Then a trip through the clearance corner at the craft store changed my plans. Using the Piccolos Pinwheel flowers, choose a solid shape and a frame. Coat the solid piece with enamel gel and the frame piece with Micro White enamel powder. Once the pieces are dried/cooled/set, use a toothpick to put E600 glue onto the frame piece and attach it to the solid piece, a little offset. 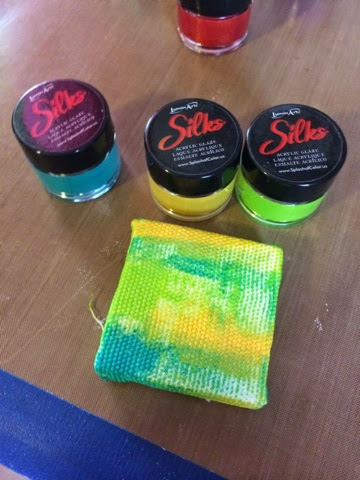 Grab a mini canvas (or even a tag or card) and slap some Silks acrylic on it. Man these paints are awesome! 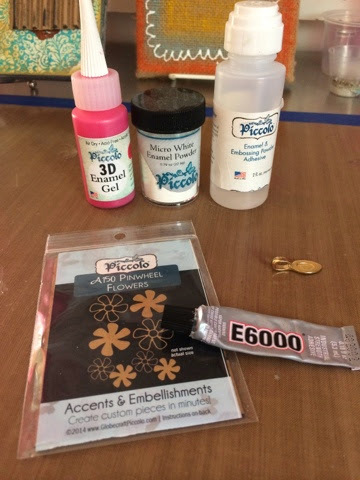 Once they dry, continue to embellish your project (I added a stamp, washi tape, and some spray ink). Find a word sticker that you love and add it to the project. Add your flower. 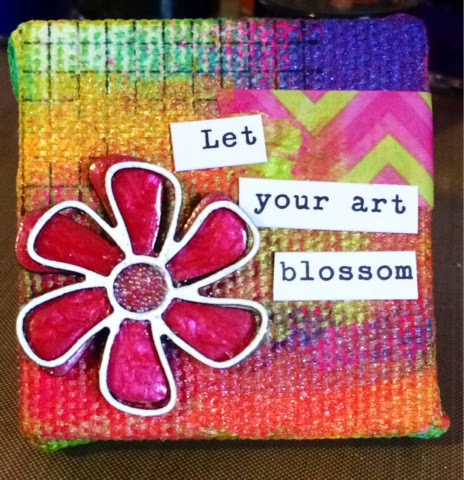 Put some Glastique or E600 in the center of the flower and fill with tiny beads or glitter. 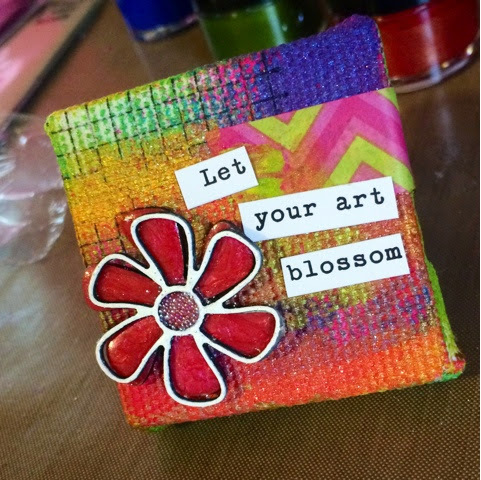 Wonderful mini canvas, love how the flower looks against the bright colors.